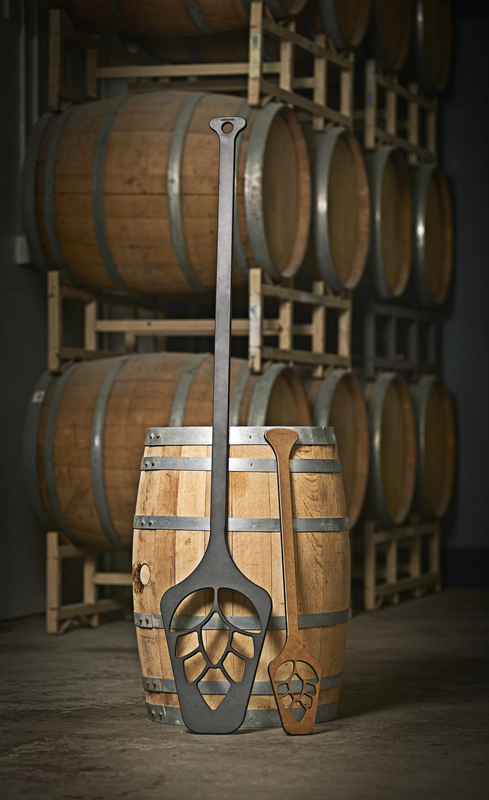 Two sizes to choose from; the Major Mash Paddle is a full 59″ tall and the Mini Mash Paddle is a little over 28″ tall. Brewers, paddle your mash. Epicurean’s mash paddles are designed with all-grain brewing in mind. Two sizes are available to suit big- and small-scale operations, and will reach the bottom of almost all mash tuns. The hop-shaped holes in the paddle base will allow grain to pass through with no problem, and once you’re done you can hang it up thanks to the hang hole in the handle. And these two-toned paddles look really good hanging on your wall. Although these look and feel like wood they’re better than wood; our material is non-porous which means they do not harbor any bacteria, and they won’t crack or split after prolonged time in water. The small paddle is made with 1/2 inch material and the large paddle is made using 3/4 inch material.